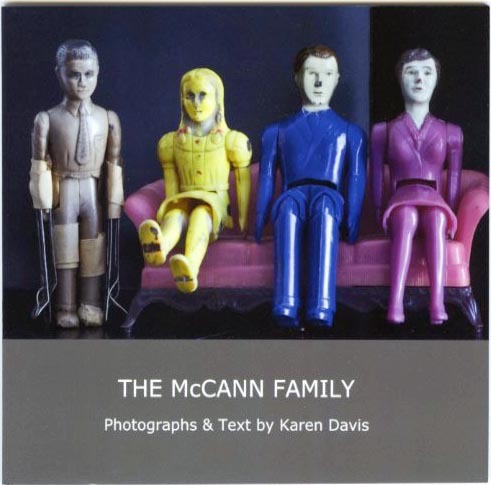 I am very pleased to report that “The McCann Family” has been selected by both Indie Photobook Library and bookMARK curatorCarlos Loret de Mola, in a call to NYFA MARK artists, for inclusion in an exhibition of Photobooks this coming weekend at the regional conference of the Society for Photographic Education (SPE). The conference, “Photobooks and Publishing,” (sold out) is taking place at Syracuse University in conjunction with Light Work. By chance, Light Work director, Hannah Frieser, was the juror who selected my “McCann Family portfolio” for the 2009 CPW Artist Fellowship Award. This entry was posted on Tuesday, November 1st, 2011 at 12:04 pm	and is filed under photography. You can follow any responses to this entry through the RSS 2.0 feed. Both comments and pings are currently closed.